Located on the northwest side of Columbus in the City of Hilliard. 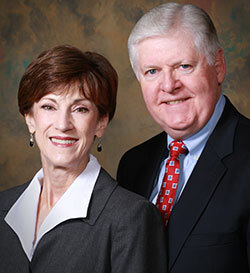 Hyslop Law Offices includes two attorneys, Bruce A. Hyslop and M. Jean Forquer, with over fifty-five years of practice and experience. in Franklin and many surrounding counties in Ohio. Ours is a general practice firm, focusing primarily in the areas of domestic relations and juvenile matters, injury/malpractice litigation, estate planning and probate administration, elder law, guardianships, complex civil litigation, residential and commercial real estate, corporations and all available business associations, as well as representation as counsel for several small to medium sized businesses. We practice in the six counties adjoining Franklin County as well as many others in central Ohio. On many matters we practice as a team, though each of us has individual practice areas not generally handled by the other. Each of us attorney practices in all the courts of Ohio, the federal courts and each is admitted to practice before the Supreme Court of the United States. We’re small enough to give a personal approach to our clientele’s needs, broadly based enough that we typically can handle all your needs for legal services, and conveniently located to save you time and expense in travel to and from our offices. Give us a call or contact us by e-mail through our website. Our new offices are located in Hilliard, Ohio at 3962 Brown Park Drive, Suite B. Contact us: Call (614) 777-4411 or Fax (614) 777-4413.